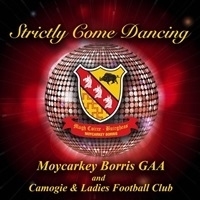 The votes are cast in the General Election, and there are some who say we may even be back to the polling booths before the year is out, but the one most important vote you have in 2016 is in Moycarkey-Borris Strictly Come Dancing. Forget Jackie’s triumph and Lowry’s legacy, because on March 27th, Easter Sunday, these dancers are the only show in town! The event will take place in The Dome, Thurles, and will begin on the night at 8.00pm. The Strictly Come Dancing format has proven an immensely popular evening out, with a number clubs and organisations hosting the event in recent years, and Moycarkey’s edition looks set to be a successful addition to the list. Master of Ceremonies on the night will be none other than RTE legend Marty Morrisey, who is sure to add some of his trademark candour to proceedings. On judging duty will be locals Jack Bergin, Joe Kirwan, Trish Kirby and Anne Marie Hayes. This crew have graced many a dancefloor between them, and will surely prove tough critics of our hopeful hoofers. The after party will then take place with DJ Andy Kinane. Tickets cost €20 and may be purchased from any club member, as well as from shops in the parish. All support for the event is hugely appreciated, and remember, your vote matters!